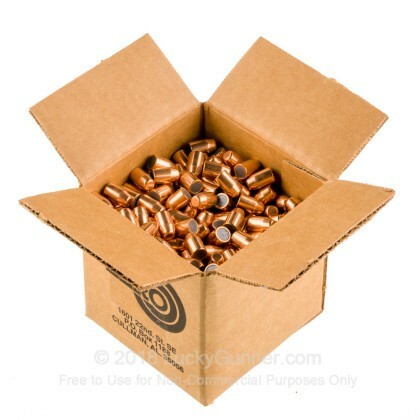 These 200 grain bullets offer many options to handloaders who are also avid competitors or who want to create inexpensive practice ammunition that matches more exotic loads. Some competition shooters who use .40 S&W prefer the heavier bullet for its smoother recoil impulse and less aggressive cycling. 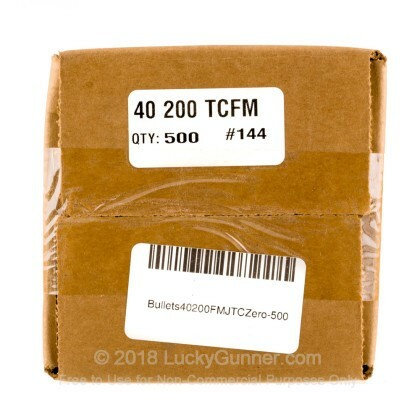 10mm Auto reloaders find benefit because these projectiles allow them to craft range ammo that closely matches defensive loads from Buffalo Bore and Underwood. 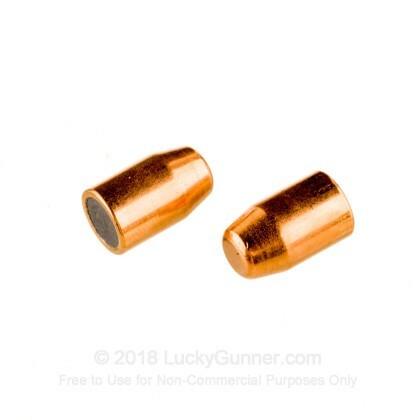 These bullets have a full metal jacket which will hold up to the speeds of hot loads in both calibers without suffering from jacket separation. The truncated cone design means that the conical wall of the bullet approaches the top at an angle until it meets with a flat tip. The projectile shape results in clean and easily discerned holes on paper and cardboard targets which help with clear scoring.